Written for both experienced and future leaders, this groundbreaking book, now in an expanded new second edition, explains clearly and simply how to grow your leadership presence, knowhow and skill. It’s the shortest, clearest, most complete and practical guide to leadership you’ll find. Now you can become the best leader you can be. The idea that you need certain character traits to succeed as a leader – that leaders are born, not made. The belief that it’s just a matter of behaving in a certain way. “Do this and you’ll succeed as a leader,” say those who hold this view. The trouble is, researchers can’t agree on the key leadership traits. And the experts who tell leaders what to do or how to behave ignore the reality that many of them cannot or will not act like this, even after training, because of old habits. Habits driven by subtle psychological blocks. The problem is that no one’s pulled these ideas together into one simple, practical leadership model. A leadership model that also addresses the missing ingredients – the leader’s psychology and leadership presence. 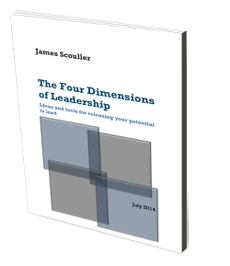 Or rather, no one had until James Scouller wrote the book, The Three Levels of Leadership: How to Develop Your Leadership Presence, Knowhow and Skill. Here you can learn more about the book, see what's new about the second edition and read its reviews. You can also read the author’s leadership blog. If you want to order a copy of The Three Levels of Leadership, click the red Where to Buy button (top right of this page) or click HERE.